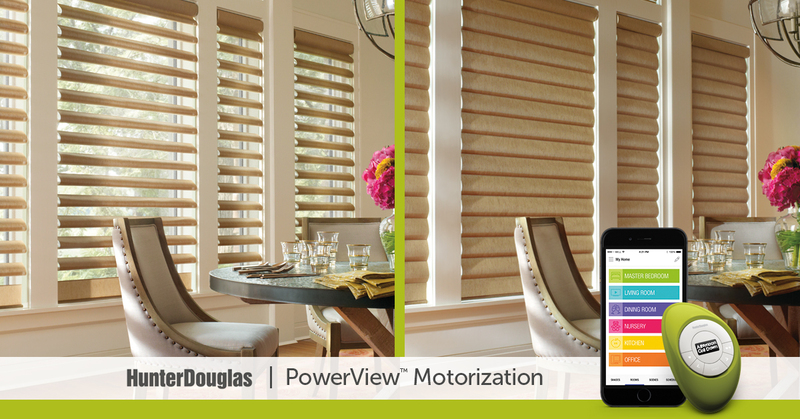 You are here: Home / Portfolio / Hunter Douglas’ Powerview Motorization is revolutionary. Hunter Douglas’ Powerview Motorization is revolutionary. Have you seen Hunter Douglas’ new Powerview system? Hunter Douglas PowerView Motorization is a wireless motorization that lets you control and schedule your window treatments from your smartphone, tablet, or remote. Call us today to find out more about this revolutionary new system that automatically moves your shades throughout the day, so you don’t have to. Previous Post: « Fall is here! Get cozy with custom bedding and all of the comfy, snooze worthy accessories.